Bury St Edmunds, Wyken Vineyards Barn | Flickr - Photo Sharing! Once occupied by Romans and recorded in Domesday, the ancient estate of Wyken is quintessential Suffolk: country lanes, hedgerows, patchwork fields and woodlands. 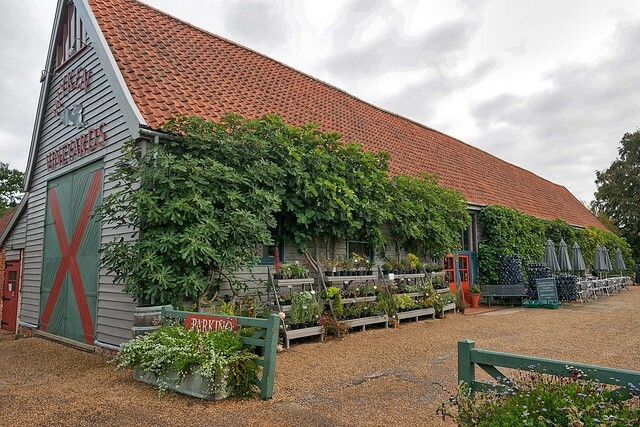 Wyken is a 1200-acre farm which includes a flock of Shetland sheep, a small herd of Red Poll cattle and a 7-acre vineyard producing award-winning wines, including the English Wine of the Year. In 2009 our 'Wyken Bacchus' won the East Anglian Wine of the Year.